The Central Government has issued guidelines prescribing modalities for persons with disabilities to show respect to the national anthem at movie halls. The Supreme Court, by its order dated 30th November, 2016, made it mandatory for all cinema theatres to play the national anthem before the screening of a movie begins, during which the national flag is to be shown on the screen. Later the apex court modified the earlier order to the extent that physically challenged i.e., persons with disability as under Section 2(i) and 2(t) of the Disability Act, 1995, shall not be asked to stand up. During the hearing, the Attorney General submitted that regarding ‘how the physically challenged or physically handicapped persons shall show respect to the national anthem’, the Central Government would issue guidelines within 10 days. Persons with locomotor disabilities with lower limbs affected and wheelchair users, who are not capable of standing, may position him/her to the extent of maximum attentiveness and alertness with or without the help of appropriate aids and appliances. 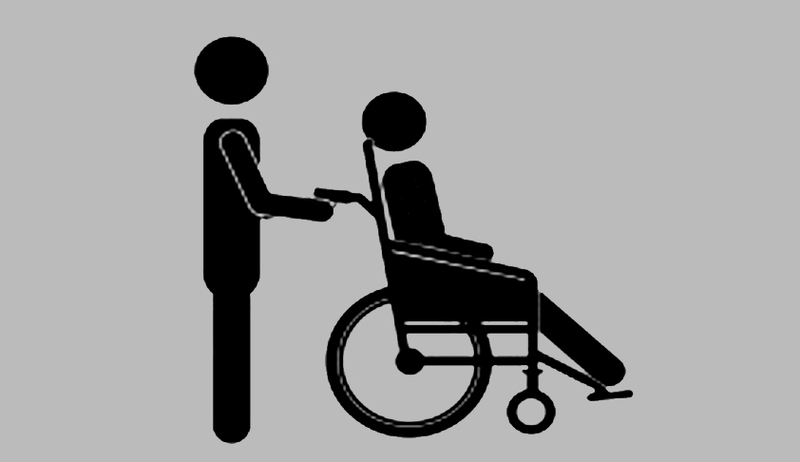 If the person with disability is on crutch, he/she should become stable (non-mobile) to the extent of maximum alertness. Persons with hearing disabilities (deaf or hard of hearing) shall stand with attentiveness. However, there must be appropriate indication on the screen that the national anthem is being played or sung, as the person with hearing disability is likely to miss the auditory cues. Suitable instructions can be given in the form of captioning as well as in sign language on the screen so that the persons with hearing impairment are well informed that the national anthem is being played. Persons with blindness and low vision shall stand up in respect of national anthem. Persons with intellectual disabilities will have behavioural problem like flapping of the hands, creaming, shouting, abnormal body movements, difficulty in performing practical task etc. The public is required to be sensitised so as to avoid any unwarranted incident against persons with intellectual disabilities and that they are not being harassed. Escorts of the persons with disabilities should stand up when national anthem is played.